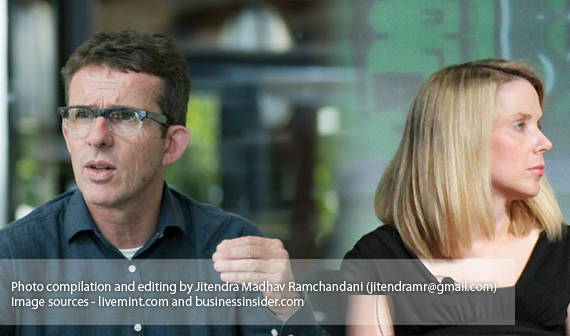 Jitendra's Blog: Tim Parsey quits Yahoo. Why? Parsey feels he has done the job of leading a design transition at Yahoo and the job is done and he is proud of that. the time is to move on to another design transition. Over past several months Yahoo has started to redesign its sites - the Yahoo home page, Yahoo Mail and Flickr being few of them. However, the new designs were not very well received and criticized harshly. It was a huge task for Parsey to bring consistency in user experience across numerous Yahoo sites and it all started with harsh criticism. The real reason behind Tim's exit could be Marissa Mayer. Both individuals have different style of working and design thinking. Tim's exit will actually bring another challenge to Yahoo as they really require solid visual layer to interface with the world. Their sites are lagging far behind in the HTML5 world and the time is moving fast.